Claus Grøn Sørensen is a Senior Scientist/Head of Research Unit in the Operations Management division of the Department of Engineering, and Head of Centre on Smart Farming. He holds a PhD in Production and Operations Management. He has over 25 year experience in production and operations management, decision analysis, information modeling, system analysis, and simulation and modeling of technology application in agriculture. Research topics include resource analyses and optimizations, whole farm analyses and optimizations, the feasibility of introducing robotic systems in agriculture, development of management information systems and smart applications (e.g. FP7, FutureFarm, AgriFood2; IoF2020). He has participated (as project coordinator, WP leader, and partner coordinator) in multiple international projects. 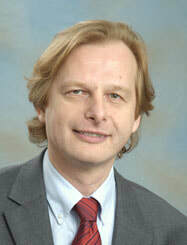 He is the author of more than 350 articles in peer reviewed Journals, conference proceedings, and scientific reports. He is currently the President of the European Society of Agricultural Engineers (EugAgEng), and past-chairman for CIGR (International Commision of Agricultural Engineering) Section V on System Management. ​​You can find more information here. This talk will provide a brief introduction to blockchain technology from the perspective of the agrifood sector. We will consider the potential and limitations of the technology for solving certain socio-technical challenges of the sector, ranging from precision agriculture to supply chain integration. We will specifically report on current work being undertaken to use blockchain technology for managing food certification across complex supply chains. In conclusion, the talk will suggest areas for further research and development as well as use cases for which the technology is not suited.